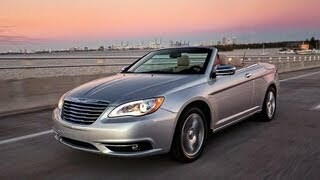 Chrysler has released the details for the Chrysler 200 Convertible 2014, a true mid-size convertible which delivers drivers affordable luxury. 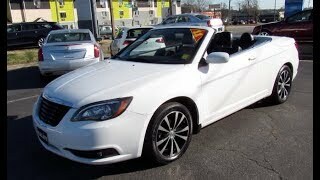 The 2014 Chrysler 200 Convertible is available in three different models in the United States – the Chrysler 200 Convertible Touring, the 200 Convertible Limited and the Chrysler 200 S model. Customers will have an option to choose from two automatically latching, power tops, a body-color-painted steel, retractable hardtop, or a cloth soft top. 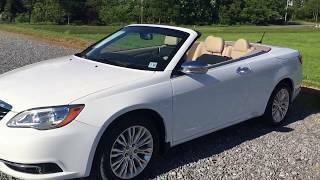 The 2014 Chrysler 200 Convertible delivers a design with purpose and attainable luxury with the signature Chrysler grille and winged badge, LED light pipe accents in the front projector headlamps, LED tail lamps. It gets a well-crafted interior including “soft-touch” armrests and one-piece instrument panel and premium touch points throughout the vehicle. The power tops can drop with the press of a button on the key fob or the center console. 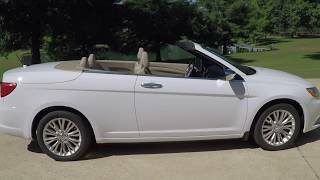 The Chrysler 200 Convertible offers the choice of two powertrains: the 3.6-liter Pentastar V-6 engine producing 283 horsepower (211 kW) and 260 lb.-ft. (353 Nm) of torque or the proven 2.4-liter I-4 World Gas Engine producing 173 horsepower (129 kW) and 166 lb.-ft. (225 Nm) of torque. Both are mated to the 62TE six-speed automatic transmission.